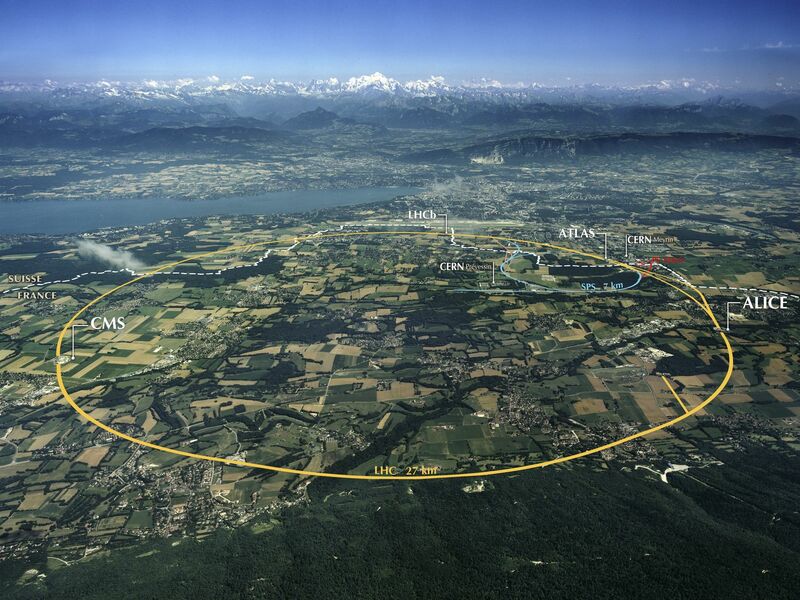 Europe's physics lab CERN on Tuesday 27 percent of the universe. 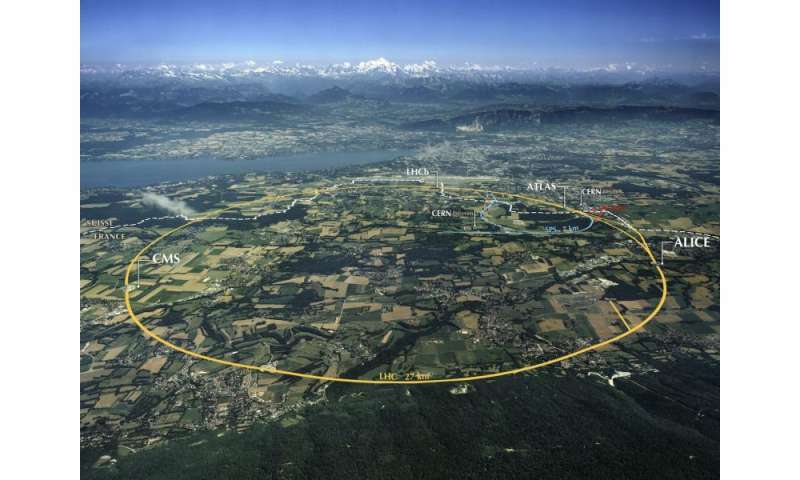 7-mile) tunnel straddling the French-Swiss border-said the new experiment what "designed to look for light and weakly interacting particles." Scientists say that so-called ordinary matter-which includes stars, gases, dust, planets, and everything on them-accounts for only five percent of the universe. But dark matter and dark energy account for the rest, and scientists have yet to directly observe either. Back in 2010, the LHC began smashing high-energy protons into each other at velocities near the speed of light. These collisions generate new particles, giving physicists an unprecedented look at the laws of nature. But the LHC's four main detectors are not suitable for picking up evidence of light and weakly interacting particles associated with dark matter. "They may not interact with any material before transforming into known and detectable particles." The exotic particles would escape the existing detectors along the current beam lines and remain undetected. " To address the problem, CERN has developed a new instrument known as FASER, which can perform highly-sensitive searches and is able to spot such particles. "Although the protons in the particle beam will be used by magnets around the LHC, the light, very weakly interacting particles will continue along a straight line and their 'decay products' can be spotted by FASER," it said. 19659005] The aim is to search for hypothesised particles including so-called dark photons and neutrinos, which are also associated with dark matter, with the experiment expected to start running between 2021 and 2023. In 2012, the LHC was used to prove the existence of the Higgs Boson-dubbed the God particle-which allowed scientists to make great progress in understanding how-to-acquire-particles.